CNC machined from billet aluminum alloy (no die casting here). When you hold these in your hand, the top quality will immediately be evident. Anodized silver. 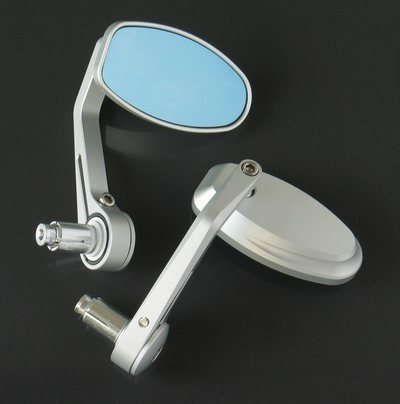 4" oval blue tinted convex glass mirrors offer a non-glare widened angle of view.